If you’ve ever had chocolate crescents, the ones filled with chocolate chips and baked, then you know just how resistible they are. I knew that white chocolate would be just as fabulous, but it needed something else. Candy canes were the perfect solution! 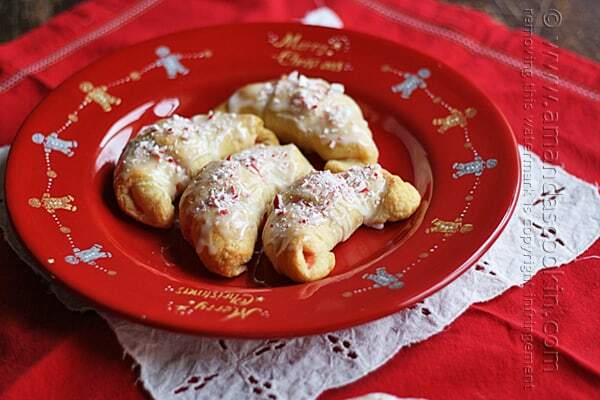 When the fun folks at Pillsbury asked me to come up with a holiday recipe using their crescent rolls, I immediately thought of those chocolate crescents that have been all over the Internet. Literally seconds later my brain was combining candy canes and white chocolate and I knew they would have to taste good. White chocolate chips don’t melt the same way that regular chocolate does. They soften, but when you bite into these, you can still see the shape of the chips. I was worried they weren’t soft. I was wrong, they were nice and soft and oh so good! I’ll definitely be making more of these throughout the holiday season! 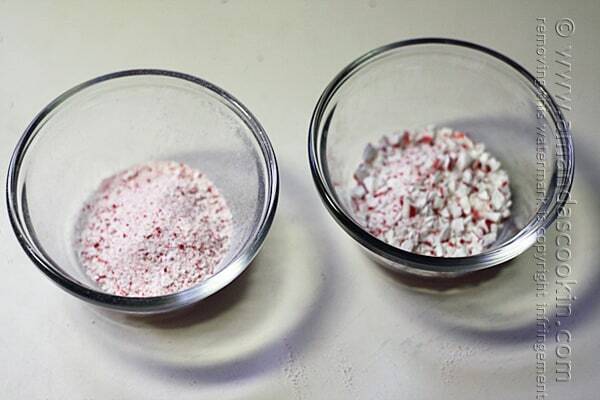 You will need two candy canes, each crushed in their own bag. One crushed for sprinkles (so the pieces are visible but not humongous. The other one crushed to a powder. 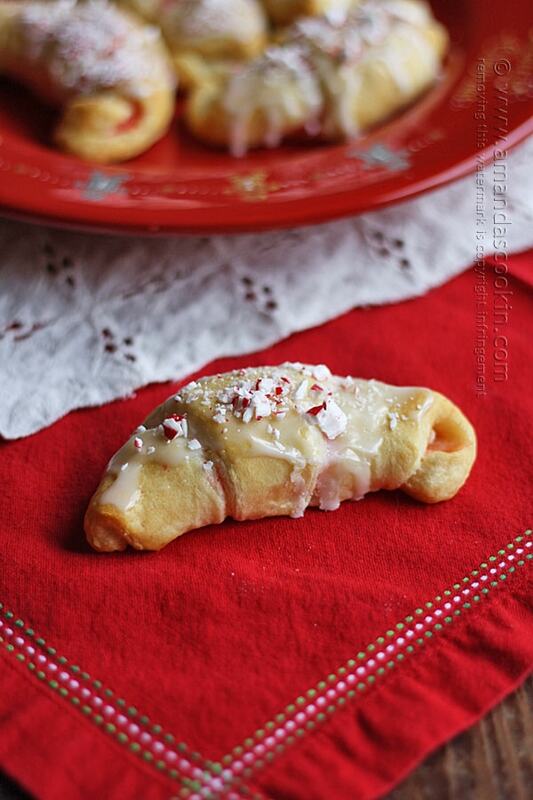 Put some white chocolate chips on the crescent dough, then sprinkle it with candy cane powder. Roll them up and bake. 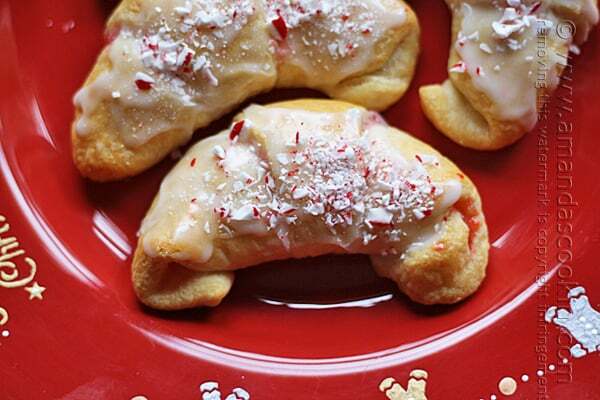 Drizzle with glaze and immediately sprinkle with larger candy cane pieces. 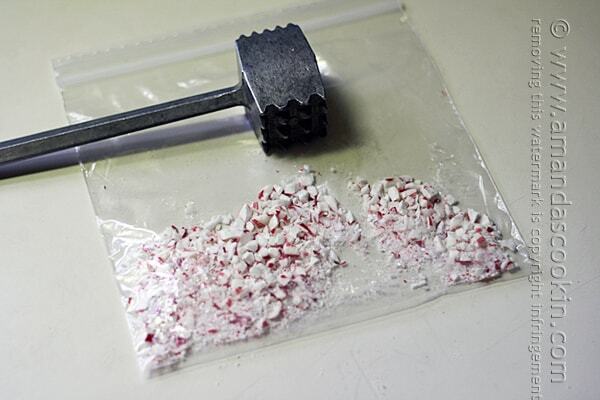 Place 1 candy cane inside a zipper plastic sandwich bag and pound with the flat side of a meat mallet to create peppermint pieces. Place into a small bowl and set aside. 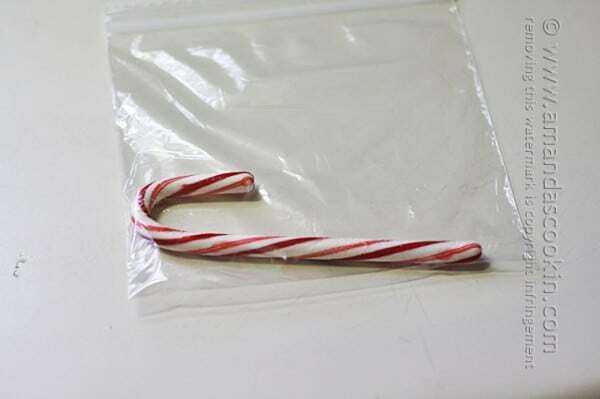 Place the other candy cane inside a zipper plastic sandwich bag and pound with and meat mallet until candy is completely crushed and turns to "dust". Pour into a separate bowl and set aside. Place a crescent dough triangle onto the baking sheet. Place one tablespoon of white chocolate chips at the wide end. 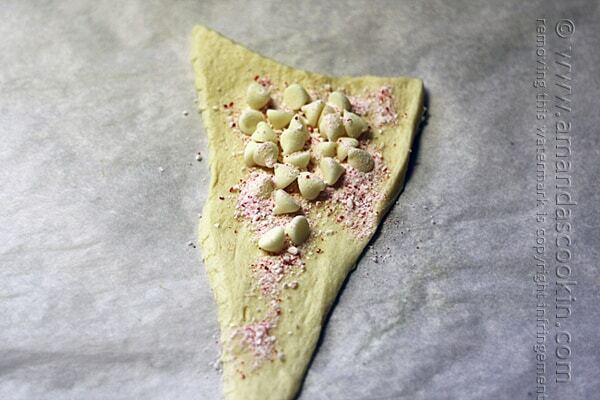 Sprinkle the chocolate chips and all down the dough with 1/2 teaspoon of the candy cane dust. 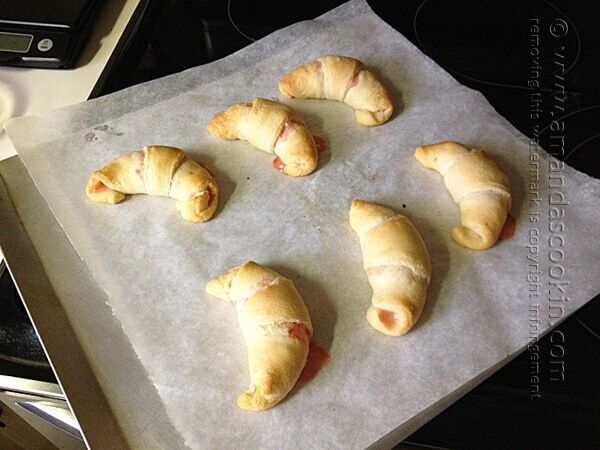 Roll up crescent roll style. Repeat for all crescents and bake for 14-16 minutes or until golden brown. 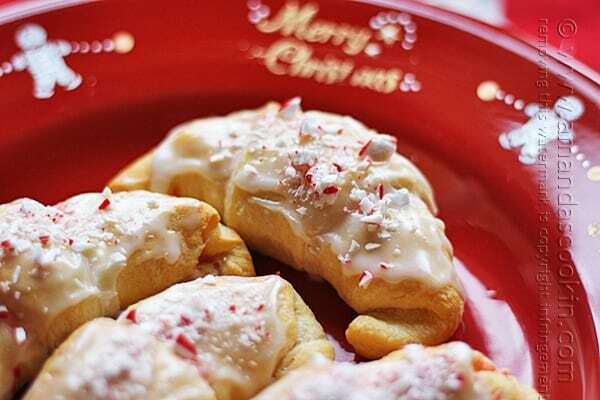 While the crescents are baking, mix the glaze by sifting the powdered sugar and adding ONE teaspoon of the milk. Continue adding drops of milk until a thick drizzling consistency is achieved. Remove from oven and carefully transfer hot crescents to a cooling rack. 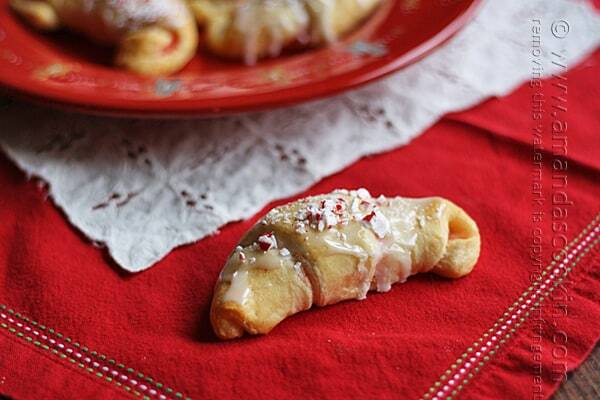 Use a spoon to lightly spread glaze on 2-3 crescents. 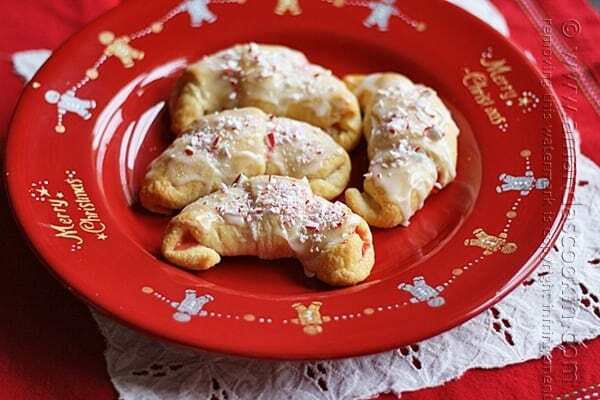 Immediately sprinkle with candy cane pieces. Repeat in batches of 2-3 at a time so that glaze doesn't begin to harden before you can add the candy. Really great variation on the chocolate crescent, Amanda! Thank you Lana, these are so delish! Wow! 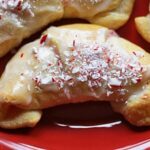 These look and sound delicious and SO simple! 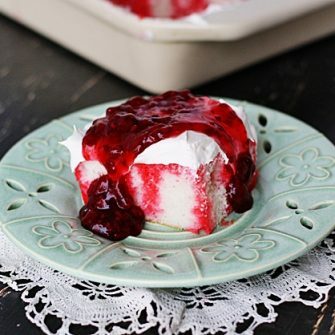 I am headed to the grocery store in a bit and I’m picking up the stuff to make these. My kids can help and have a blast.